1.Check-in will be allowed only on submission of the original Confirmation Voucher. 2.Confirmation Voucher is non-transferable and is valid only if signed by the concerned authority. 4.Check-in time: 1:00 pm. Early check-in would be at the sole discretion of the Front Office Manager/Resorts Manager. 5.Dispute if any, with regard to the bill needs to be resolved prior to check-out. Any correction in the bill would not be accepted after the check-out. 6.Guests are required to put signature in the room list at the time of check-in. Check/in is at 1:00pm and Check/out at 12:00 Noon. 7.Photo ID Proofs for the guests is mandatory. The same needs to be shown at the time of security check at Resort, without photo ID no checking will be allowed. a.12:00 Noon to 2:00 pm; 50% of the room charges (on subject to availability). b.02:00 pm onwards; full day charge. 2.On failure of the Guest to vacate the room on expiry of the check-out time mentioned in the confirmation voucher, Management shall have the right to remove the Guest and his/her belongings from the assigned room/s. 3.Bills must be settled on presentation by cash or credit card. In case of Bill to Company guest needs to sign the bills. Personal or Company cheque will not be accepted by Front Office. 4.The Management will not in any way whatsoever be responsible for any loss and/or damage to Guests belongings or any other property from either the room or locker, or any other part of the hotel for any cause whatsoever including theft or pilferage. 1.The Management can change any or all of the above Terms Conditions at any time at its sole discretion without any prior notice. 2.Gutka, Plastics are not allowed inside the premises. 3.Pets are not allowed. Our resort are not pet friendly. 4.All disputes, differences or questions arising out of this transaction shall be settled by arbitration as per provision of Arbitration and Conciliation Act 1996 and venue of such arbitration shall be at Kolkata only. 5.In respect of the arbitration proceedings initiated pursuant to the transaction envisaged herein and in respect of all matters pertaining to this transaction only. The Civil Courts in Purulia City shall have jurisdiction to the exclusion of all the other Courts. 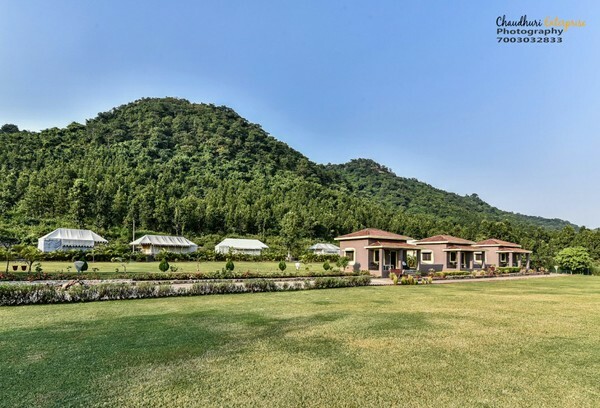 6.Notwithstanding anything stated above Eco Adventure Resorts Khairabera shall not incur any liability to the Guest if it is not in a position of fulfill its obligation by reason of any war, civil commotion, force majeure, act of God or any notification or order of any court of law or government or the local body (s).